A Mutual of America Health Insurance Company review leads to Mutual of America Life Insurance Company. 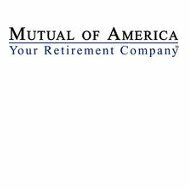 Established in 1945, Mutual of America specializes in services and products that assist retirement needs such as pensions and life insurance. Mutual of America does not sell health insurance. You can enter your zip code in the free box now to receive rates and quotes for personal health insurance products from several companies. Mutual of America has offices in 34 continental states as well as offices in Alaska and Hawaii. The company headquarters are located at the heart of the financial and insurance industry in New York, New York however; assistance can be obtained from any local or regional office as well. Mutual of America provides a variety of IRA products that can be purchased and used to maximize the benefits of retirement. The first type of IRA provided by Mutual of America is the traditional IRA. This is an individually owned product so it is your investment and yours alone. There is not a mutual contribution or mutual payout that is taking place. It is a very safe investment. Mutual of America’s Rollover IRA is for those who are close to retirement or are planning to leave their job soon. Rollover is basically as it sounds, when you leave one place of employment instead of withdrawing the money and staring a new IRA, you simply roll the money over to a new account. This saves the up to 10% withdraw penalty and other tax penalties that can be associated with withdrawing from an IRA before retirement. The Roth IRA offered by Mutual of America is an IRA that allows after-tax contributions and withdraws can be made as needed without penalty. It is a retirement fund but also serves as a place to keep your money, earn interest on that money, and withdraw the money as needed and when needed even before retirement. Individuals can pay into a Roth IRA as long as they have income. Inherited IRAs are also offered by Mutual of America. Inherited IRAs are IRAs that are set up by contributions received by the contract holder by a non-spouse donator. This could be a death benefit, an inheritance, an estate, or a trust. The key is that the money was not received by the spouse in any way either living or by death. Mutual of America has an annuity referred to as the Flexible Premium Deferred or FPA Annuity. This annuity is flexible because it allows you to decide what you are saving for, how much you contribute, and when the contributions are made. You can also transfer money in and out through links with bank accounts and other investment tools. Within these group products, Mutual of America provides a full range of services to help consumers understand and invest in their retirement in the best way possible. The company provides liaisons between themselves and the human resource department of the company for which they are providing retirement services. Mutual of America knows that planning for retirement is important but that the importance seems to grow the older individuals become. For example, a 25 year old starting a career thinks differently about retirement than does a 60 year old heading towards the end of a career. This is why Mutual of America agents specialize in finding the right product for the right individual. Each category has specialized agents who work exclusively with people in that age group. On their website, Mutual of America also provides a retirement calculator. This calculator allows you to input the amount of money you want to live on during retirement as well as the amount of years you have left to work and calculates how much you should put in a retirement fund during that time to reach your goals.